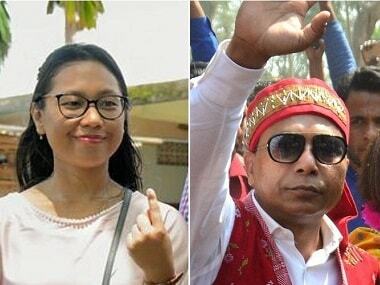 The Election Commission has announced the dates for polls in three north-eastern states — Meghalaya, Nagaland and Tripura. As per the dates announced by the EC, elections in Tripura will be held on 18 February, while in Meghalaya and Nagaland, they will be held on 27 February. Counting of votes for all three states will take place on 3 March. Chief Election Commissioner Achal Kumar Joti, while announcing the dates, stated that VVPAT machines will be used in all three states. The code of conduct has come into force in these states with the announcement of the date of elections. With the announcement of the dates, electoral tempers have risen in the three states. These polls have assumed importance for both the Bharatiya Janata Party (BJP) and the Congress. After forming governments in Assam and Manipur, the BJP is hoping to consolidate its influence in the north-east. After 'look east', the agenda that the BJP is working on now is 'act east.' Jitendra Singh, who is a minister of state (MoS) in the Prime Minister's Office (PMO) has given the responsibility of the north-east by the Centre. Narendra Modi, after taking over as prime minister, has been consistently giving priority to the development of the north-east. He has repeatedly stressed that efforts are being made to bring development to this region. By forming the North East Democratic Alliance (NEDA), the BJP has begun its attempt to align itself with regional parties there. 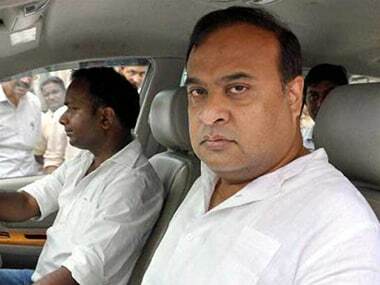 Himanta Biswa Sarma, who is a heavyweight Assam minister, has been made the chairperson of NEDA. 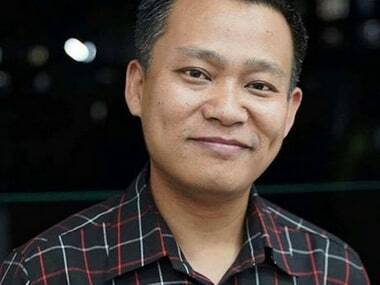 As Sarma has a strong grip on the volatile politics of the north-east, the BJP has reposed much trust in him. 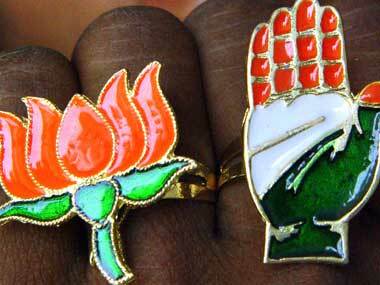 The upcoming polls in three states in this region hold a lot of importance for the Congress. The results of the elections will provide an assessment of Rahul Gandhi's performance. Of course, even during the Gujarat election campaign, Rahul Gandhi's elevation as Congress president was a foregone conclusion and he was in charge of the affairs of the party at that time as well. Congress leaders had attributed the party's improved performance in the state to his efforts. However, Rahul will face his first real test in the north-east. Will the red bastion crumble in Tripura? In all three states mentioned above, regional parties have largely held sway. Tripura has been ruled by the CPM for the last 25 years. Under the leadership of Chief Minister Manik Sarkar, CPM has held on to power. However, the BJP is now attempting to cause a disruption in this left bastion. Himanta Biswa Sarma has been given a major responsibility in this state. The Rashtriya Swayamsevak Sangh is also putting in a lot of work in this direction. As RSS chief Mohan Bhagwat and other office-bearers have been regularly visiting this area, this indicates that it is also active there. The BJP feels that it will succeed in defeating the CPM this time. It is nearly certain that the fight this time will be between the CPM and the BJP. In Meghalaya, the Mukul Sangma-led Congress government is at the helm of affairs. However, this time, the BJP appears to be in the mood to give a jolt to the Congress. The Congress recently faced a setback when five of its legislators, including former deputy chief minister Rowell Lyngdoh, resigned from the Assembly. Further, one legislator from the United Democratic Party and two Independents also resigned. All of these eight joined the National People's Party (NPP) at a rally. In the 60-member Meghalaya Assembly, the Congress had 30 MLAs. The NPP is presently a part of the NEDA alliance, which is headed by the BJP. Thus, a split in the Congress' ranks will directly benefit the BJP and its allied parties. As confusion reigns in the Congress, the BJP hopes to carve out a space for itself. In this Christian-majority state, the BJP's policy will be to try and unseat the Congress. In December 2017, Prime Minister Narendra Modi visited Mizoram and Meghalaya, during which he inaugurated the Shillong-Nongstoin-Rongjeng-Tura Road. The BJP is attempting to consolidate its position in the state through development initiatives. Turning to Nagaland, the state has the government of the Naga People's Front. The BJP is supporting the government, which is headed by TR Zeliang. IN 2013, three legislators from the NCP decided to cross over to the BJP and from the same time, all of the BJP's legislators extended their support to the Naga People's Front. In Nagaland, the alliance between the BJP and the NPP is referred to as the Democratic Alliance of Nagaland. The BJP will attempt to ensure a victory for this alliance again. On the other hand, the Congress will hope to wrest Nagaland from the BJP and also retain its government in Meghalaya. The results of the eight upcoming Assembly elections will have a bearing on the 2019 Lok Sabha elections. Therefore, no political party is taking it easy with respect to these polls.